From dust jacket notes: "...The discovery of the Bering Strait whaling grounds was a pivotal event in the history of the Pacific Ocean. The Arctic whaling industry laid the foundation for the annexation of Hawaii and the acquisition of Alaska. By nearly destroying the whale population, it set off a bitter controversy between Eskimos and conservationists over hunting rights to the remaining bowheads. And, it indirectly led to the discovery of oil seeps in the Sagavanirktok River delta, and eventually to striking oil in Prudhoe Bay. In different periods the whaling industry has been glorified or vilified. John Bockstoce steers clear of these pitfalls and portrays it for what it was: an economic endeavor. It represented the industrial revolution's expansion into the most remote waters of the world, at a time when the acquisition of natural resources was considered to be a God-given right. This vivid and absorbing account will appeal to all those interested in the history of Alaska and America maritime and industrial history. With the rowing concern about whale conservation, this book is essential reading for placing their depletion in historical perspective." 1. 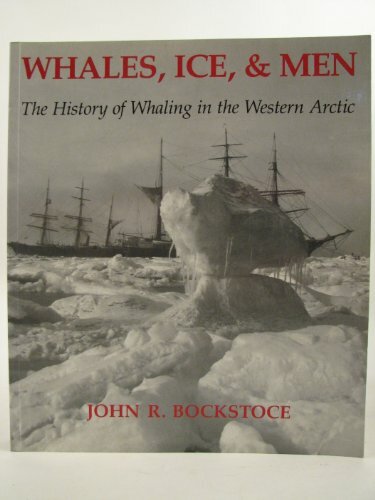 Whales, Ice, and Men: The History of Whaling in the Western Arctic Bockstoce, John R.
2. 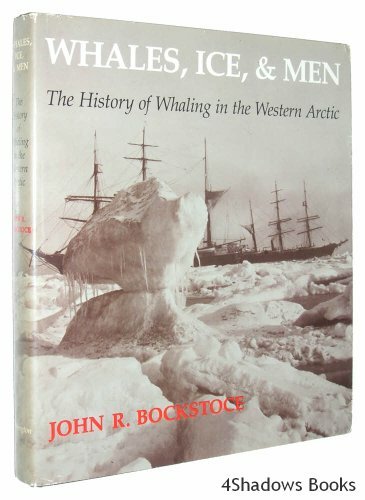 Whales, Ice, and Men: The History of Whaling in the Western Arctic Bockstoce, John R.